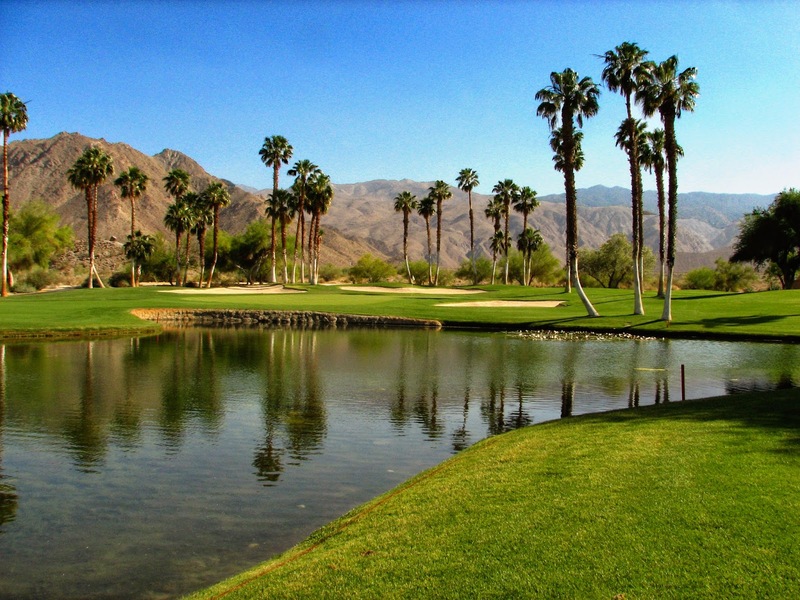 Last weekend, the Lovely Sharon and I were playing golf on the South Course at Ironwood Country Club. It was about 1:00 in the afternoon and we were on the tee box of the 14th hole (we were married at the 14th hole almost 11 years ago). The 14th hole has a couple of lakes and is near the rocky Santa Rosa mountains. 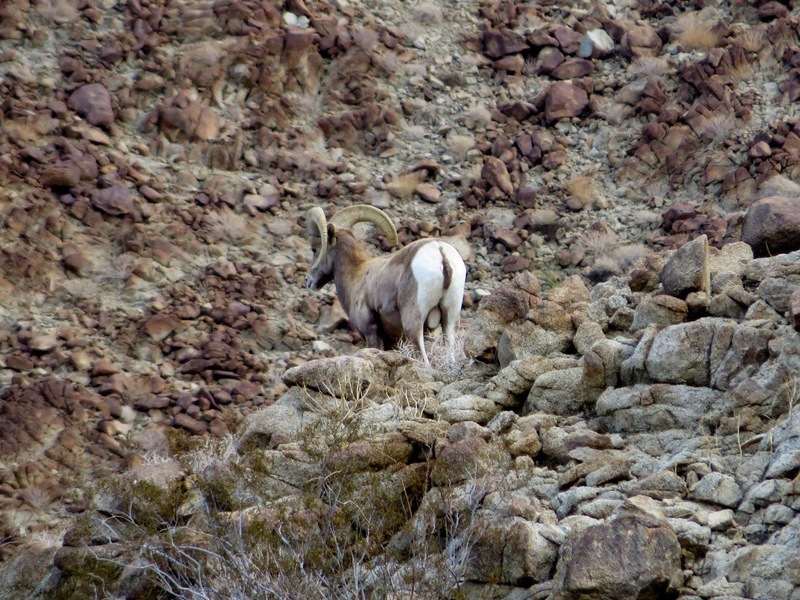 I had teed off and was waiting for the Lovely Sharon to hit her tee ball when I heard the sound of rocks sliding down the mountainside and I looked up to see three beautiful bighorn sheep. The bighorns were maybe 250 or 300 feet from me. I grabbed my camera from my golf cart and took two pictures before the bighorns went around a hill and were out of sight. 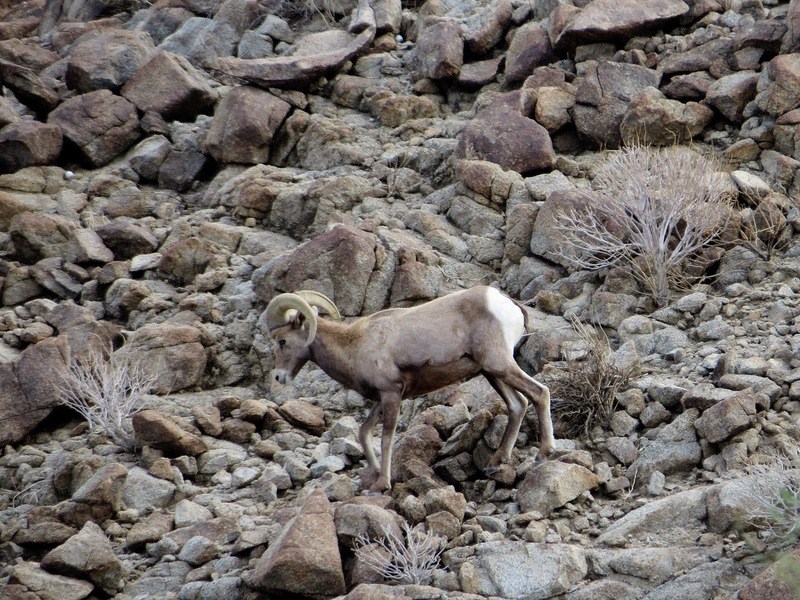 The bighorns colors blended into the color of the rocks they were walking on. They looked at me, but not having been previously introduced, they quickly looked away and went about their walk. I hope to see more bighorns in the near future.